Regina Brooks, Founder and President at Serendipity Literary Agency, who'll be on faculty at our upcoming Lucky 13th Annual SCBWI Winter Conference in New York, January 27-29, 2012, let us know about this contest for YA writers. 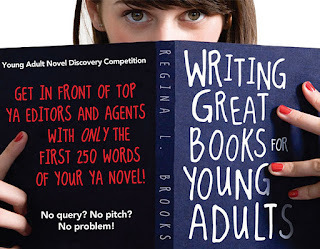 You submit an "enticing" title and the first 250 words of your YA manuscript. No query. No pitch. Just an opportunity to let the work speak for itself. It's a chance to break through, but there's not much time left - the contest ends tomorrow, November 30, 2011! You can get more details here. Also, if you want to do your homework on Regina Brooks, check out her Agent Spotlight page on Literary Rambles, where Casey McCormick and Natalie Aguirre have compiled wonderful profiles on 109 (and counting!) 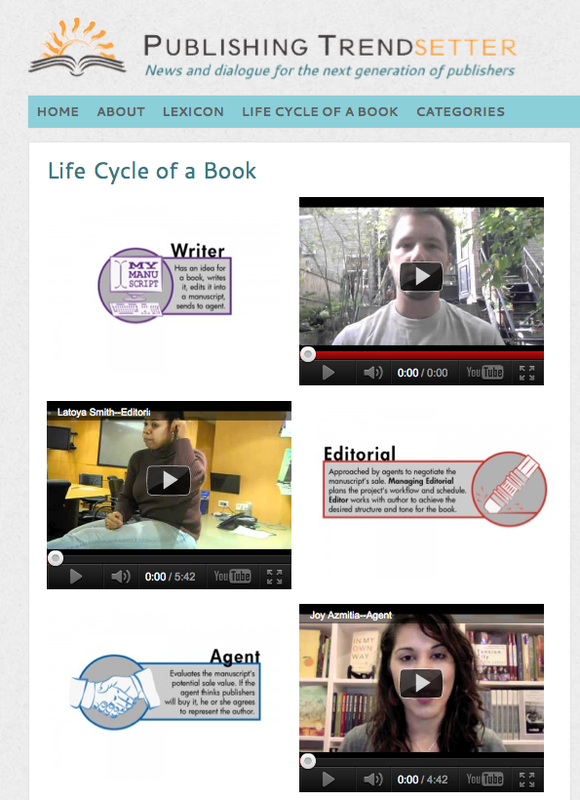 kid lit literary agents from a multitude of online sources. 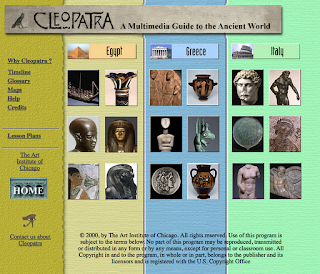 It's an excellent resource, and I like how it comes full circle back to the author. 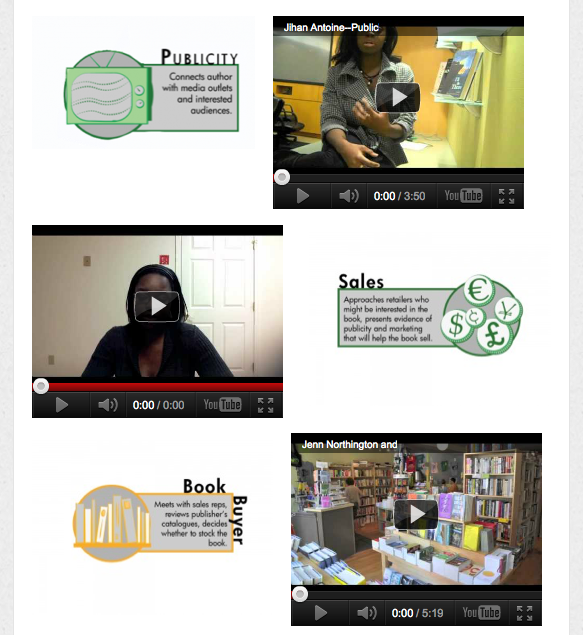 So go watch these great videos, and get a bigger-picture understanding of the Life Cycle of a Book. I found this resource via twitter (a tweet by @syntactics - Rachel Stark, an Assistant Marketing Manager at Bloomsbury Children's Books), which linked to a blog post on Rachel's blog, which linked to a website (the Publishing Trendsetter newsletter), which linked to Publishing Trendsetter's Life Cycle of a Book site. Which is a very cool example of how all this social media stuff works to get the word out - and now I get to share it with you! And for our readers in the U.S.A., Happy Thanksgiving! Darcy Pattison has a great exercise called "The Shrunken Manuscript" that is very cool. Basically, you do exactly that, shrink your work-in-progress down so you can see the whole thing on 30 or so pages, lay them out of the floor, and with a highlighter you can mark your strongest scenes. Stand back and look - are your strongest scenes spread out, or do you have "the dreaded Sagging Middle?" Step-by-step instructions for the exercise and how it can tell you so much more are here on Darcy's website! Darcy Pattison will be on faculty at the upcoming #NY12SCBWI conference talking about "Creating Book Trailers and Other Random Acts of Promotion." You can check out her pre-conference interview with Martha Brockenbrough of SCBWI Team Blog here. Are you in the know about Illustrators Friday? It's a weekly challenge to illustrate to a theme, where you enter your own piece (linking back to your blog) and it's all compiled in a giant list. According to Marsha Riti (in the third video on a post on Mark Mitchell's blog), it's a great way to drive traffic to your illustrator blog. In fact, Marsha suggests that the earlier in the week you get your piece in there, the more visitors you'll get. A way to flex your craft muscles and build your following? Sounds great. Going through the weekly archives, you can browse by medium or style (including 'children's art'.) And it's pretty fascinating to see how over 650 artists all approach illustrating "silent" or "stripes." Within the next two to three weeks, Kobo will match Amazon's ad-bearing ereaders with their own "Kobo Touch with Offers" with "valuable offers and sponsored screens in discreet places outside of the reading experience." The ad-driven model will sell for just under $100, a $40 discount over the ad-free model." As Newspapers continue to figure out how they can fit into the new world of technology, The Los Angeles Times has become an e-book publisher. They're planning to release 8-10 titles a year. The Authors Guild has weighed in on Amazon's new e-book lending program for it's premium members, and they're not too pleased about it. They also give some advice of what to do if YOUR book is in the program. E-book-reading adults, when it comes to books for their youngest children, are choosing print books - according to this article in the New York Times. Among the reasons? You've got a story to tell, right? Well so did debut author Thanhha Lai, who just won the National Book Award for Young People's Literature for her novel, Inside Out & Back Again (HarperCollins.) A debut author winning the National Book Award? Now that's inspiring! Jimmy Fallon, as Jim Morrison, sings "The Reading Rainbow" theme song. It's brilliant. Thanks to the awesome Alice Pope, who posted this on facebook. This story, also from the New York Times, might have been filed under "business," but it spoke to something very powerful about the community of people who love books. Ann Patchett, the best-selling novelist, is opening up a new independent bookstore, Parnassus Books, in Nashville, Tennessee. While the news for independent bookstores may seem dire (in the USA we're down to 1,900 who are members of The American Booksellers Association) there's a counter-trend of "a small band of bookstore owners who have found patches of old-fashioned success in recent years, competing where Amazon cannot: by being small and sleek, with personal service, intimate author events and a carefully chosen rotation of books." One of the amazing benefits of membership in the Society of Children's Books Writers and Illustrators is the bimonthly publication, The Bulletin. "My goal has always been to make it practical. To let people know how to advance their careers. We focus in on articles of practical interest for the professional member and we like to mix in, whenever possible, some inspiration and humor." 1. The cover by Dan Santat is hysterical, and there's an interview with him inside (A regular feature called "Illustrator Profile: About the Cover") where Dan explains about his creative process - from drawing over 1000 pages for his 200+ page graphic novel "Sidekicks," to the media and supplies he uses, to his inspiration for the cover. "I remember feeling totally worried during my first art critique that my work wasn't good enough while some art director or editor evaluated what I'd done. You can see that same nervousness in everyone who goes through the process. 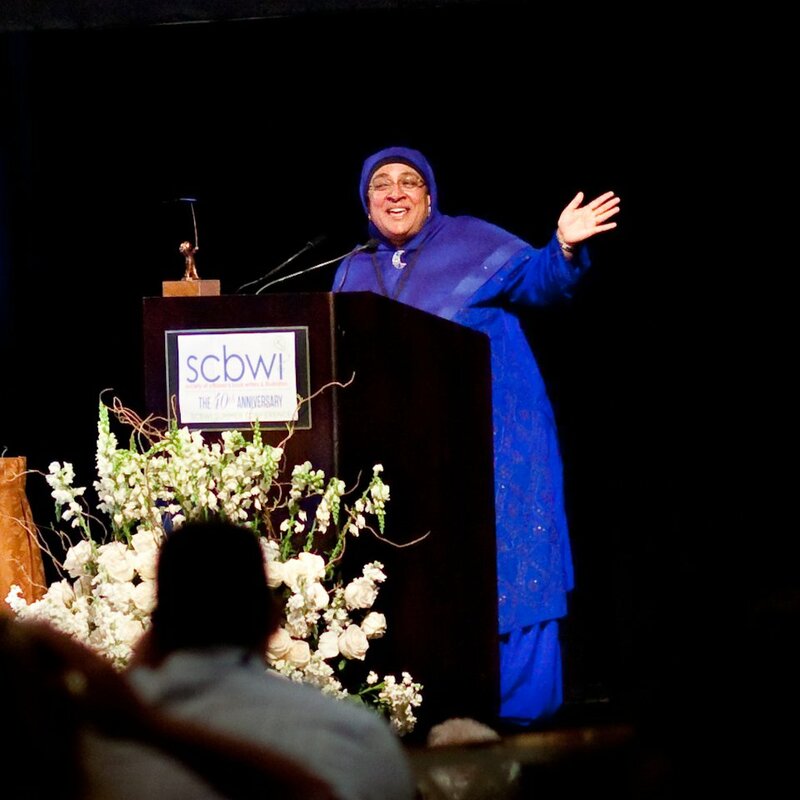 Everyone in the SCBWI can relate to this moment at least once in their life." 2. "Trailers, For Sale or Rent" - The latest installment of an ongoing series "What the Tech?" by Mark London Williams shares his journey to release his entire "Danger Boy" time travel series - a number of which have been traditionally published - as ebooks. 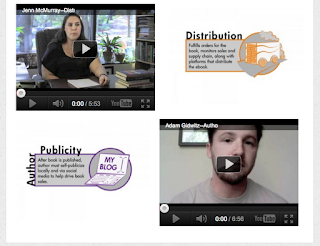 This article goes into the nitty gritty of how he put together his first book trailer. Where did he get his images? The free (and license-free) music he used? Mark shares lots of great tips and links. 3. Alexis O'Neill also does an ongoing column, "The Truth About School Visits" - it's indispensable, and I've read and re-read her advice many times. This issue's topic is "Book Festivals: Are They Worth It?" and Alexis goes into depth on how authors are chosen, how you can make the most of festivals, and the pros and cons of both large and small book festivals. She shares her personal experience and insights, and even gives a roundup of websites where you can find lists of festivals in Australia, Canada and the USA. Like I said - indispensable! 4. There's an "Art Tips" series where Alison Davis Lyne edits the advice of different experts and illustrators - this issue the tips (by Tina Nichols Coury and Monica Carnesi) are about blogging, and how for illustrators, they can lead to publishing opportunities. 5. 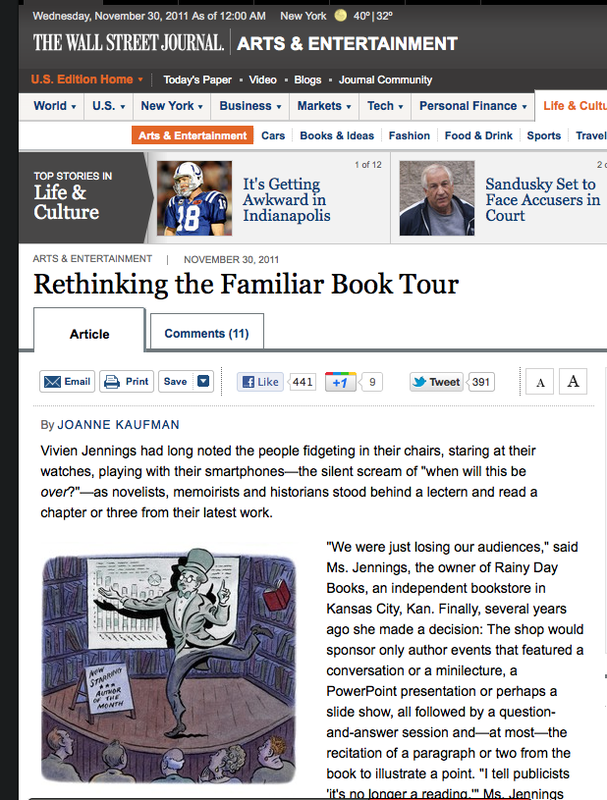 There a wonderful "Illustrator's Perspective" column by Anne Sibley O'Brien. "The Assembly of Book Projects" focuses on how she manages her life as a self-employed artist. She asks, "when the only authority demanding results is me - and I'm not getting paid - how is it that I keep things moving forward? How do I continue developing these ideas until they're fully formed enough to possibly generate a contract?" And her answers were inspiring. Anne's columns are always thought-provoking, and I particularly loved her two part column "White Mind" in past Bulletins pointing out and challenging how many of us in our culture - writers and illustrators - make our characters white by default. 6. Writer/Illustrator Agy Wilson also challenges us, but this time it's to play with language to keep it lively in her article, "Children's Writers make Bralls and Widges." Agy writes, "Great stories are meant to be told. But it's in the telling whether they take flight or exist through time." How we use language (including nonsense words, playing with structure and even rhyme) become tools to make not just walls or bridges, but Bralls and Widges. 7. "Speed Dating: How to make up titles for stories" - this exercise by Hazel Edwards was fast and challenging fun, and it did get me to come up with a new title for a work-in-progress that is a vast improvement. 8. 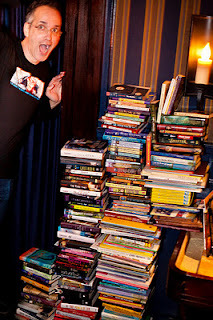 "A Report from KidLitCon 2011: Building community through the kidlitosphere" by the fabulous Alice Pope is a great rundown of the September 16-17 weekend when more than 100 kid lit bloggers came together in Seattle for the 5th annual KidLitCon. I attended that conference as well, and Alice does a great job of sharing the highlights and passing along some of the wonderful tips from the various presenters. 9. "Legally Speaking" is a column by SCBWI Chief Operating Officer and lawyer Sara Rutenberg. 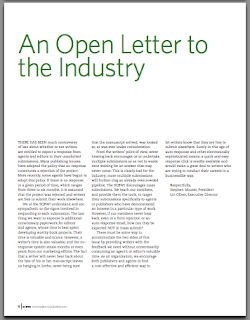 Sara goes into depth in her columns, and this issue's focus is "Piracy Protection." She walks authors through what to do if you discover your copyrighted material has been posted without your authorization. She explains the "takedown provisions" statue of the Digital Millennium Copyright Act, and share the five steps you need to take to file a takedown notice. 10. 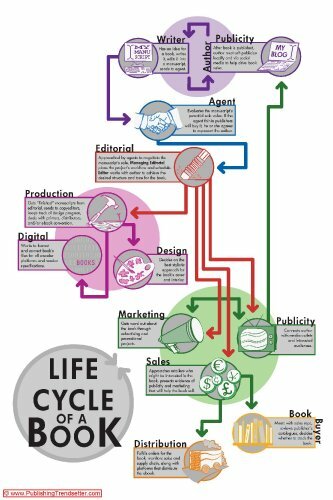 "Game Your Way To Success" - the "To Market" column by Susan Salzman Raab explores what we can learn about book marketing from entertainment and gaming. Using examples like Jeopardy and Farmville, Susan shares tips and resources to re-think and calibrate your marketing plan. 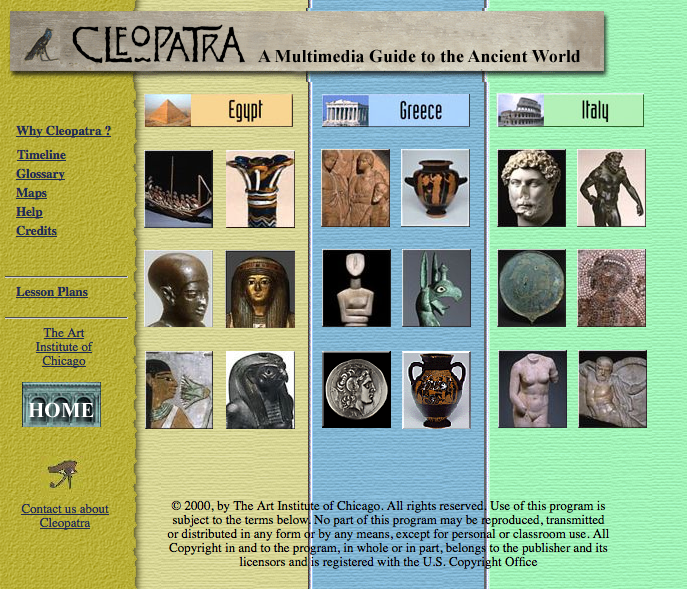 There are even a number of links to sites that can help you set up games as part of your author school visits. 11. 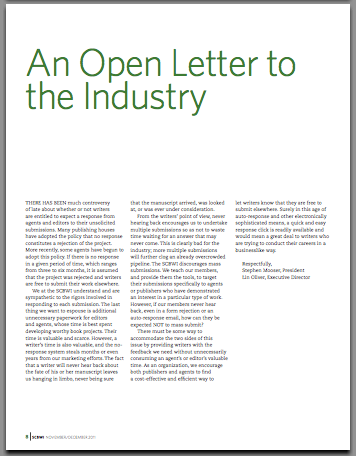 And the wonderful "An Open Letter To The Industry," where SCBWI speaks out for writers on the no-response-means-a-rejection controversy, which I reported on earlier this week. There's still more in this issue - poems and illustrations, an article on "International Bloggers: What they can do for your book," another on "IRS Changes Mileage Deduction Rates for 2011," and still others on opening lines, targeting your publisher, and inspiration - that one's called "Swing! by Nisha Coker. There's a book review of Scott McCloud's "Making Comics: Storytelling Secrets of Comics, Manga and Graphic Novels," news and notes, the People pages packed with members' good publishing news, a master regional events calendar, a notice for SCBWI members who want to present and showcase their work at the Bologna Children's Book Fair, and Publisher's Corner by Connie C. Epstein with Award, Publishing News and Submission Information updates for the kid lit industry! 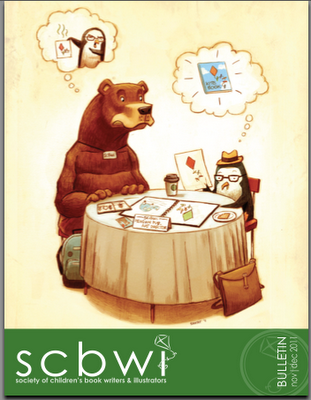 You can join SCBWI here, and among the many, many great things that gives you (information and support, networking, insider publishing information, access to SCBWI awards and grants, member discounts on conferences and local events, Craft, Business, Inspiration and Community) you'll get your own subscription to the Bulletin. And it's awesome. In addition to the physical copy that can arrive in your mailbox, members can also sign in and download the current issue (and past issues all the way back to 2005!) of The Bulletin here. I recently sat down with Lin Oliver, Executive Director of SCBWI, to find out more about the Writers Intensives on Friday January 27, 2012. And new for this conference, a Marketing For Professional Writers Intensive. In our video, Lin explains the what and why of this amazing new opportunity for authors. 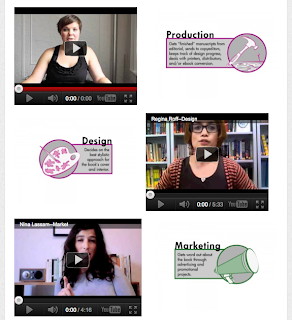 You can see the full Roundtable Intensive for Writers and Marketing For Professional Writers Intensive schedules here. Register for the intensive that's right for you, and the whole Lucky 13th Annual SCBWI Winter Conference here. SCBWI offers writers and illustrators information on the craft and business of writing and illustrating for children and teens, loads of inspiration, and most importantly, community. Sara Zarr blew me away when she gave her Keynote address at the #NY11SCBWI Winter Conference, talking about sustaining the creative life. Here, in this guest post at Nova Ren Suma's blog, Sara talks about what inspires her, and the answer is pretty surprising. It's failure. "In a way, “failure” is just another word for “the journey,” for not being there yet but on the way. It’s the road we walk on to get wherever it is we’re trying to go." And even though it's about failure, it's not a downer of an article. It's actually... Inspiring. You can read it here. "Editors talk frequently about the necessity of an author staying true to their own voice in expressing the voice of their main character; a definition of "voice" in this instance encompasses the word choice, sentence structure, cadence, vernacular, slang, idioms, quirks, and the poetry of speech that help to identify a character within a setting. To my mind "voice" also encompasses that which lies beneath the actual words a character expresses—namely, the emotions, motivations, doubts, desires, fears, hopes, and internal trajectory of the character. These are the elements of a "character" that will turn an "anyone" into a "someone"—a distinct individual with whom readers might identify and in whom readers will believe." Q: Should I have only one style in my portfolio? A: Borrowing the word that authors use to describe their writing, the best portfolios are unified by the illustrator's "voice." If every piece in your portfolio speaks clearly in your own unique voice, then it won't matter if you sometimes use watercolor, sometimes work digitally, and sometimes are into collage or whatever. Q: What should an illustrator for children be sure to include in a portfolio? A: Anything that the illustrator loves so much that they seem as if they totally get the essence of whatever it is they are portraying. We are beyond the days of saying you need to have b/w, children, pets, everyday scenes. If you are into wombats, and that's all you care about, then by all means, have a wombat-driven portfolio. Subscription & member-supported access to children's books is an innovative business model in the news. Point Reyes Books in Point Reyes, CA is experimenting with a member-supported model they dub "CSB", for Community Supported Bookstore. The CSB, which launched last month, "allows customers to deposit anywhere from $150 to $500 into a bookstore account, draw purchases from that balance and receive a 5 percent discount on all items." Owner Steve Costa tells the Point Reyes Light the store hopes to enroll at least 200 customers in the CSB by the end of 2011 and to have at least 500 members within 12 months. You can find out more and even become a Point Reyes Books Community Supported Bookstore Member at the store's website here. "None of the six largest publishers in the U.S. is participating." "Amazon pays the publisher the wholesale price each time a qualified Prime member "borrows" the ebook. Those will count as sales, because, well, they are sales..."
"Our aim is simply to build something good; good for talented storytellers, good for parents, and good for kids. uTales is a new way to enjoy modern picture books, and in doing so also making the world a little better for kids, one story at a time." uTales also supports the non-profit Pencils of Promise to help build new schools in developing countries. That's another trend of note, creating new business models that are "as focused on giving back as they are on turning a profit." As you get deeper into the world of Children's Literature you find that, indeed, It's A Small World After All (thank you, Disney!) Here, I can prove it: Who's the head of the editorial panel ensuring the quality of the books included in the uTales e-book library? The remarkable Emma Dryden. See? Small world. Fascinating innovations. "Picture books are important because they are with us for life. They are the most important books we’ll ever read because they’re our first. No matter how many books we’ve read since, they will always have a place in our hearts." Lin Oliver often refers to those of us writing and illustrating and creating children's books as a tribe. And SCBWI is a tribe - I felt it at my first Summer Conference. That these were my people. Our people. One of the easiest ways for you to plug into the community is to join the conversation. Comment here. Follow us on twitter. Like our SCBWI Fan page on facebook. 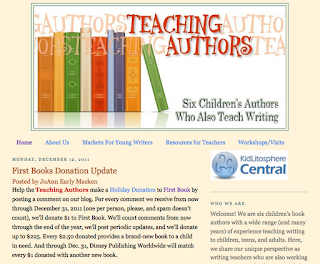 Check out the offerings of your local SCBWI chapter. 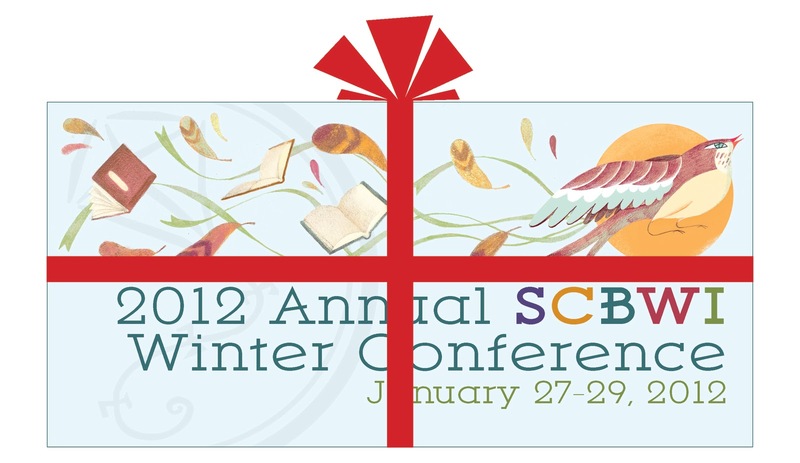 And consider joining us at the upcoming Lucky 13th Annual SCBWI Winter Conference in New York, January 27-29, 2012. However you connect, know that just by reading this, you're part of our tribe. I sat down with Lin Oliver, SCBWI's Executive Director, to find out more about the upcoming full-day intensive program, Marketing For Illustrators, on Friday January 27, 2012. You can see the full Marketing For Illustrators Intensive day's schedule here, and register for that and the whole Lucky 13th Annual SCBWI Winter Conference here. What an amazing - and essential- opportunity! Lauren Myracle is a National Book Award Finalist. Err, wait. She’s not. Libba Bray pulls no punches in her backstage pass assessment of the situation (her husband, Barry Goldblatt, is Lauren Myracle’s literary agent.) It’s funny and passionate, but if f-bombs offend, read the other two links instead. Here's Libba's blog post. Vanity Fair has an interview with the remarkably gracious Lauren Myracle, here. The new deal means that hundreds of DC’s popular graphic novels (think Superman, Batman, Watchmen...) will only be available on Amazon’s new Kindle Fire tablet. Barnes & Nobel and Books-a-Million responded by pulling all the physical volumes of those titles from their shelves, saying they wouldn’t carry any book it they’re denied the right to sell the digital version. The New York Times story is here. And there was more news featuring Amazon, this on Amazon driving changes in how publishers do business – since Amazon announced they would share some sales data with their authors, Simon & Schuster (and now Random House and Hachette Book Group) will do similarly. It’s an interesting article in Publishers Lunch. “Prisoners of NPR” (kids in the back seat forced to listen to ‘All Things Considered’ because their parents are listening) are getting their own Back Seat Book Club. Here's the story at Publishers Weekly. Ruckus Media is teaming up with Scholastic to publish digital first, and print second. You can read more about it here. Is a book ever finished, or just published? For the 40th anniversary edition of the best-selling horror classic, "The Exorcist," author William Peter Blatty not only polished, but revised and added a whole new character. You can hear the interview (and read the article) from NPR's Weekend Edition here. If you won the Newbery Medal, would you want that gold sticker on the cover? Turns out this isn't a mistake. It's the strategy for attracting adult readers. 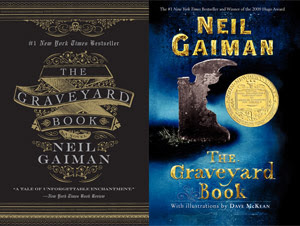 Find out more about the new cover without the Newbery Medal for Neil Gaiman's "The Graveyard Book" at this Media Bistro post. And interestingly, "The Graveyard Book" will be the inaugural title for the new NPR Back Seat Book Club. Fun how that came full circle, isn't it? I've Got The Torch... And Here We Go! I am honored and thrilled to be the new official SCBWI blogger and Captain of Team Blog! Look for updates here on things going on in our kid lit industry and inside looks at the many SCBWI offerings of information, networking, publications, grants & awards, being a collective voice for authors and illustrators, and of course our amazing SCBWI Annual Conferences! Your SCBWI Team Bloggers will be diving into pre-conference interviews to give you the scoop on what you can look forward to at our upcoming Lucky 13th Annual Winter Conference in New York City, Jan 27-29, 2012. I mean, have you checked out the lineup of speakers? The break-out workshops? The number of agents and editors on faculty? The gala dinner, a new mingling and networking event for Saturday night? The portfolio showcase? 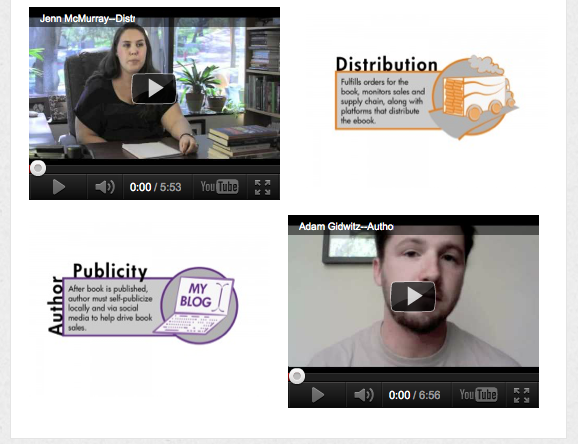 And the Friday day of intensive sessions on marketing for writers, marketing for illustrators, and writers roundtables? There's so much great stuff! Martha Brockenbrough, one of the funniest people I've ever met. And she can write funny, too. Her book on grammar had me laughing out loud (yes, grammar and laughing) and I can't wait to read her upcoming titles from Arthur A. Levine books ("Devine Intervention" sounds amazing!) Martha is deep and insightful and snort-milk-out-of-your-nose funny. She's also a wonderful blogger, both at her own blog, and for our SCBWI Team! Jolie Stekley is awesome. A YA writer bursting with creativity and energy, she imbues everything she does with heart and insight. I love re-reading her conference posts (like this one), because they are personal and universal at the same time - and with all the photos and quotes the whole feel of the conference comes back to me in a wonderful rush! She's a great blogger at her own blog, Cuppa Jolie (check out her fabulous weekly writing prompts!) and for our SCBWI Team! Jaime Temairik, our resident illustrator on the team, changes things up for all of us by stretching the form and having fun with it all. Like her commercial breaks and zombie sock puppet sketches, Jaime is wacky in the most wonderful of ways! When I first met her, I thought she was Yoda-like, as in still-waters-run-deep. What I discovered is that Jaime is deep - and she's quieter than me because she's busy planning all this amazing stuff while I'm chattering away! She's a treasure of a blogger at her own blog, Cocoastomp, and for our SCBWI Team! Suzanne Young is zany, charming, and prolific - with three YA titles out (her latest is the supernatural romance,"A Need So Beautiful!)" and more books coming soon... Suzanne is also really innovative in her marketing efforts, and I recently saw her speak with Novel Novice's Sara Gundell about their super-fun and well-received do-it-yourself campaigns for her books. Suzanne is a bright light and a super blogger, both at her own blog and for our SCBWI Team! I'm beyond grateful for their friendship and support - and so glad to continue Team Blogging the SCBWI Annual Conferences with them! And I have to take this opportunity to offer my heartfelt thanks to Alice Pope, who not only had the vision to create Team Blog with Aaron Hartzler (and bring me on board) but for believing in me and now passing me the torch. Thank you, Alice! So I'll raise the flame high and run with you all, as we explore the grandeur and endorphin-rush of our passion - writing and illustrating and editing and agenting and art-directing and publishing and blogging and bookselling and teaching and librarian-ing (!) 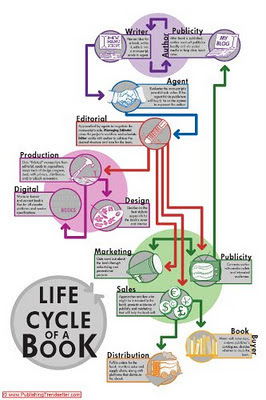 and marketing and innovating... as we create and celebrate creative content for children and teens. 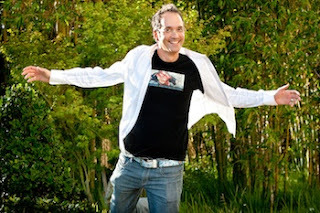 pps: My photo above was taken by the wonderful writer and photographer Rita Crayon Huang. Today, in a swirl of mixed emotions, I offer this post announcing that I will no longer be blogging for SCBWI. I happily started this gig in May of 2010, a month after leaving my position as the long-time editor of Children's Writer's & Illustrator's Market. I was so grateful and excited that SCBWI gave me the opportunity to continue to communicate via the blogosphere with the amazing community I'd come to know and love throughout my 18 plus years at Writer's Digest Books. 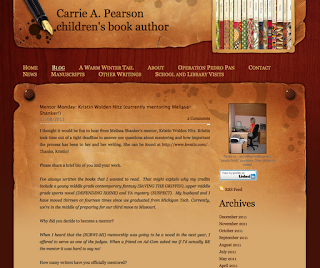 While I was an editor at WD, I attended countless SCBWI events all over the country. Without a doubt, my favorite event has always been the Annual Summer Conference in Los Angeles. I learned so much, made so many terrific contacts, saw success stories unfold, and, most importantly, became lifelong friends with some tremendous people. 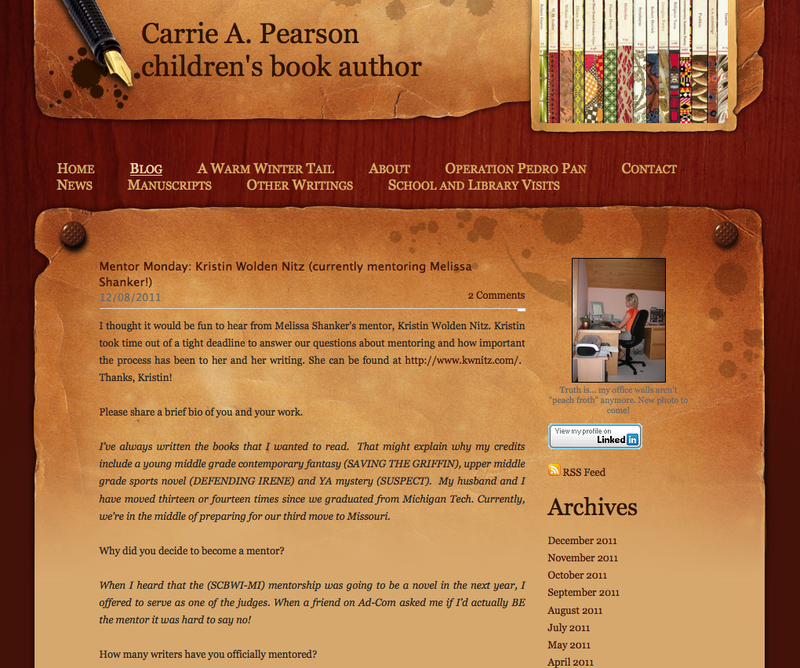 So of course I was beyond thrilled with the formation of SCBWI TEAM BLOG in 2009. The brainchild of former SCBWI Director of Communications Aaron Hartzler, the team--including me, Jaime Temairik, Martha Brockenbrough, Jolie Stekly, Suzanne Young and Lee Wind--brought you pre-conference interviews with conference faculty and exhaustive as-it-happens coverage of the LA and NYC conferences. We blogged and social networked our fingers to the bone, with joy. 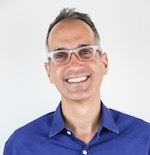 I'm thrilled to announce that the SCBWI blog and TEAM BLOG will survive--and thrive--under new the leadership of Lee Wind. So I bid you farewell, but not goodbye. (We can keep in touch on Facebook and Twitter afterall.) 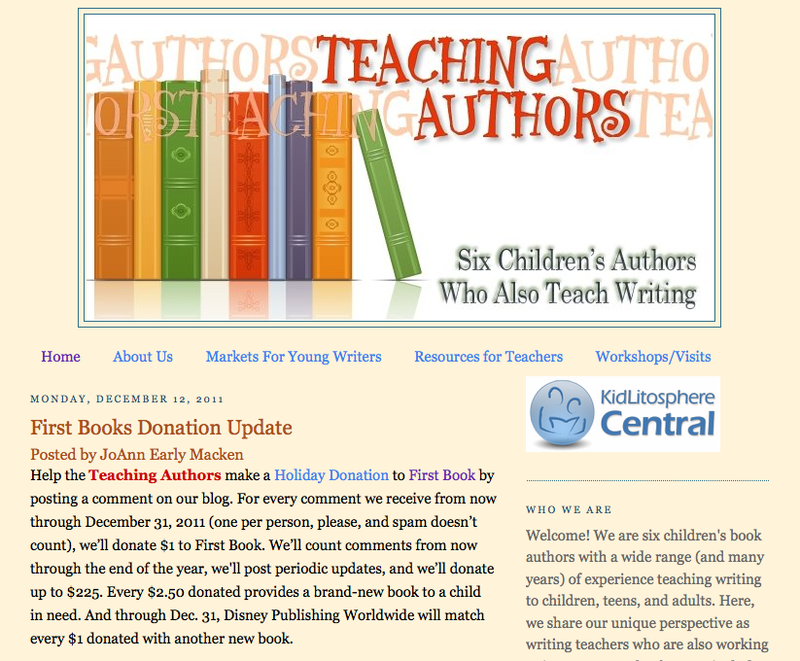 Thank you for reading both the SCBWI blogs. Thank you Lin and Steve for allowing me to be a part of them. Thank you Jaime, Martha, Jolie, Suzanne and Lee for all your hard work and for your friendship. I love you guys. SCBWI recently unveiled its first-ever poster featuring winners of the organization's coveted annual Golden Kite Awards. The debut poster was beautifully illustrated by John Parra, 2010 Golden Kite winner for picture book illustration. "We asked John to illustrate the poster for two reasons—one, because we knew his style would be absolutely perfect for the poster art. Second, because we hoped to start a tradition that the winner of the Picture Book Illustration category of the Golden Kite Award would illustrate the poster to commemorate the following year's winners," says Sarah Baker, SCBWI's Manager of Illustration and Design. "John needed very little in the way of suggestions or notes. We just told him the poster was to celebrate the next year of Golden Kite winners, the dimensions of the poster of course, and that it should feature the kite somewhere. He took it upon himself to add an image representing each winning book, a really great touch!" "Working on the Golden Kite Poster was a wonderful and great thrill for me," says John Parra. "The concept comes from when I received my Golden Kite Award from SCBWI in 2010 for the book, GRACIAS/THANKS, and how I felt a soaring emotion like the bird in the poster. The child characters in the image represent us all taking that wonderful journey into literature and art that we collectively celebrate and cherish. 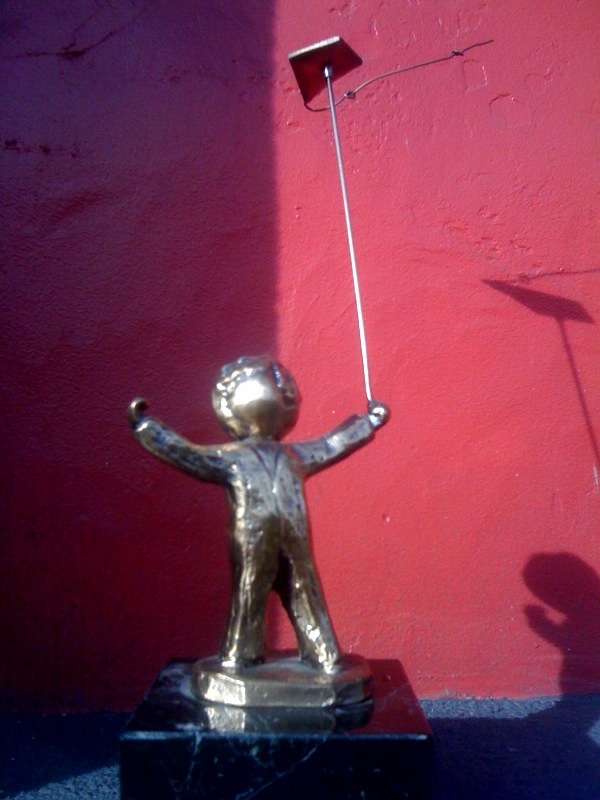 Many of the other icons and imagery that surround these main characters are sample images representing each of this year's 2011 Golden Kite winners. I always enjoy seeing the final print when type is added and I was honored to have it presented at this year's SCBWI 40th Annual Summer Conference in Los Angeles." "I absolutely fell in love with John's art from the moment I saw the first sketch, and finding typefaces and designing the poster around his art was so much fun. It was thrilling when his painting arrived in the mail, and thrilling once again to see the finished printed poster," says Sarah. "Presenting it in front of the 1,300 attendees at the Golden Kite Award Luncheon was more terrifying than anything, but so much fun to see how much everyone else loved the poster as much as we did. This was a great start to an annual tradition of Golden Kite Award celebration posters, and I can't wait to work on next year's!" Winter Conference Regisation Opens Monday! And be sure to watch the official conference blog (and this blog) for exciting interviews with faculty members and other 2012 Winter Conference news from SCBWI's terrific TEAM BLOG. The Deadline Is Approaching: It's Time to Submit Books for SCBWI's 2012 Golden Kite Awards! 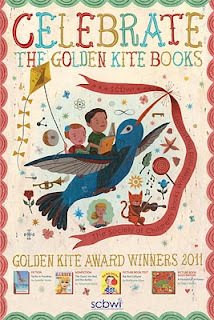 Started in 1973, SCBWI offers the Golden Kites annually to recognize excellence in children’s book in for categories (Fiction, Nonfiction, Picture Book Text and Picture Book Illustration). And (this is new!) Golden Kite winners also become lifetime members of SCBWI. There are also four honor book recipients will also be named by the panel of judges which consists of children’s book writers and illustrators. 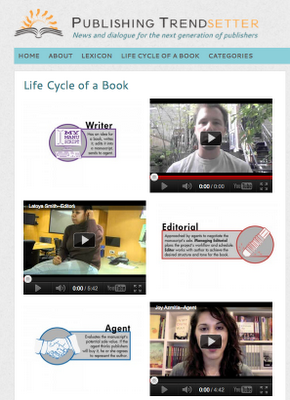 Books can be nominated by individual or by publishers. But there's more. This year for the first time, a commemorative poster with the winners was created and is being distributed to schools, libraries, bookstores and publishers. The poster for the 2011 Golden Kite Awards, below, features original art by last year’s winner, John Parra, and features cover images of the four 2011 Golden Kite winning books. Isn't it a beauty? Click here for submission guidelines as well as lists of past winners.